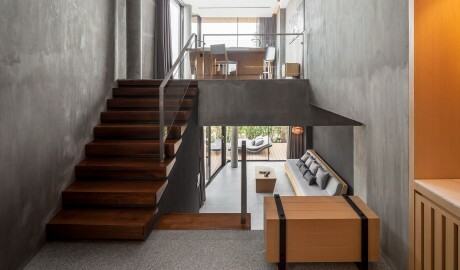 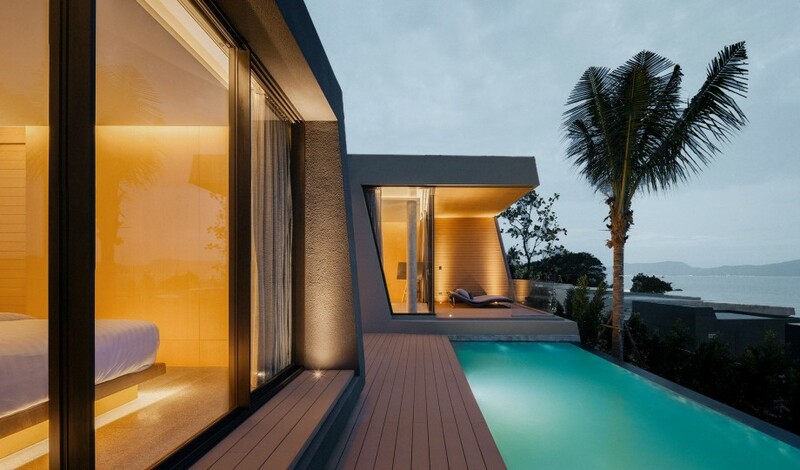 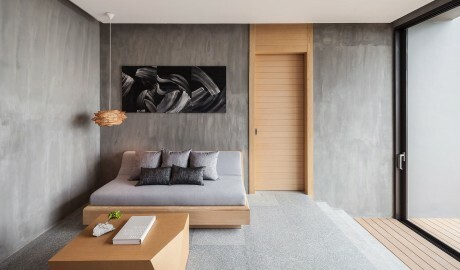 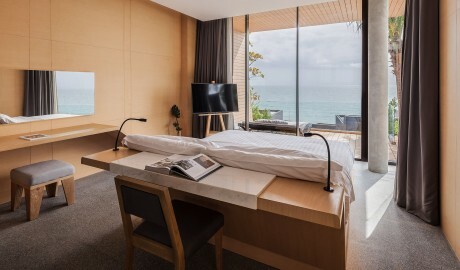 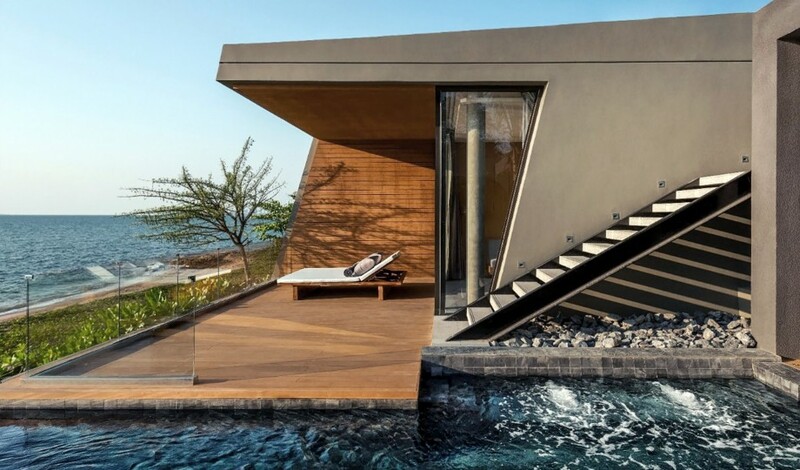 —A unique stack of private-pool villas on Pattaya’s quiet southeastern shore, Mason is an angular nod to the area’s stone carvers and dream-weavers. 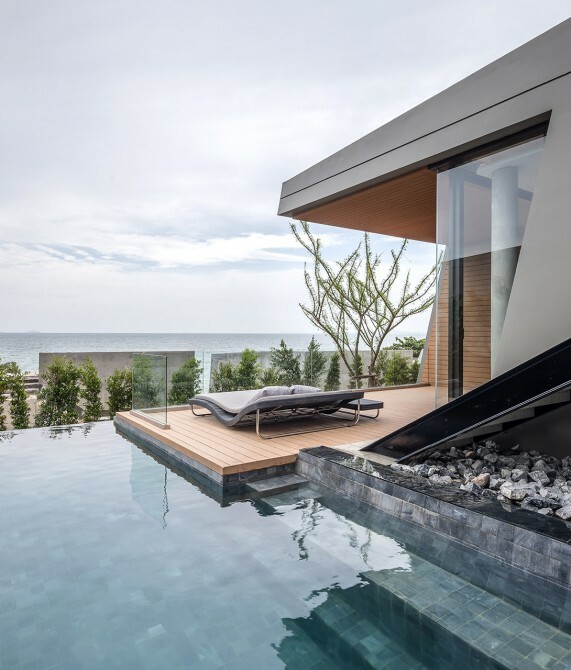 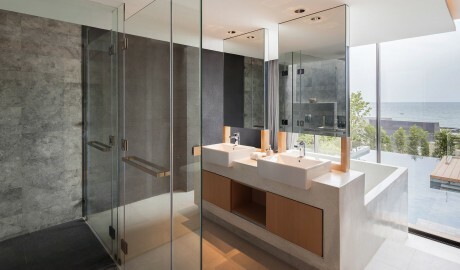 An iconic beachfront property by award-winning VaSLab architects on the quiet Na Jomtien beach, Mason is a natural extension of the rock hill it sits on—one with unparalleled views of the world famous Pattaya Bay. 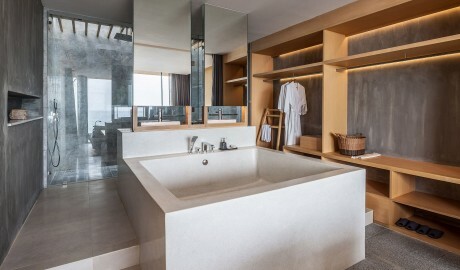 Here, staggered stone boxes that make up the villas not only provide the best sea views but also reference the area’s famous stone carvers. 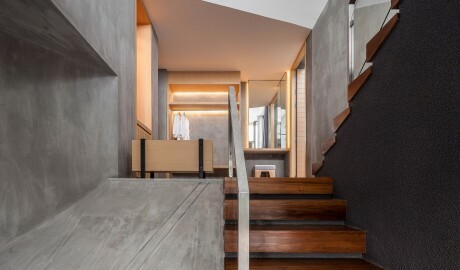 In fact, stone and granite make their way from the outside to the inside, giving a concrete character to facades, sculptural elements, and small décor objects. 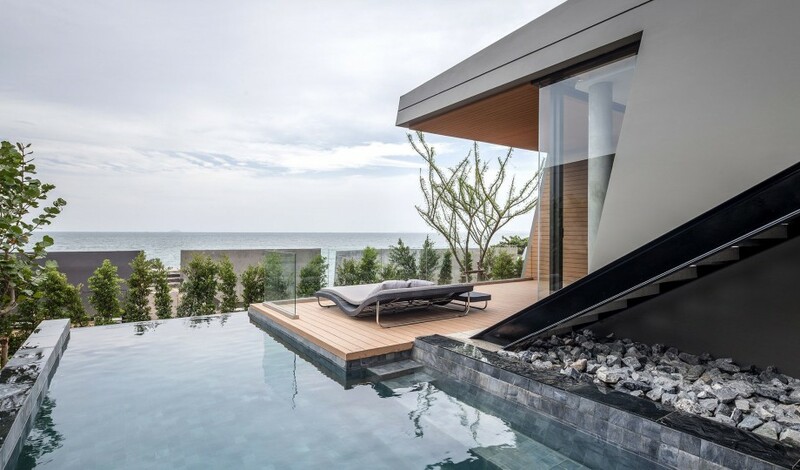 The Thai city’s only private-pool villa resort provides plenty of perches to catch those breathtaking views, such as the Beachside Bar or the Krok-A-Café Espresso bar. Indulge in fresh seafood, authentic Thai cuisine, and international dining options at Zila Street Bistro & Bar. 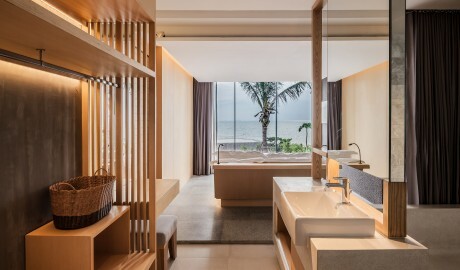 At Mason Spa, the treatments combine new techniques with traditional Thai practices for the ultimate pampering. 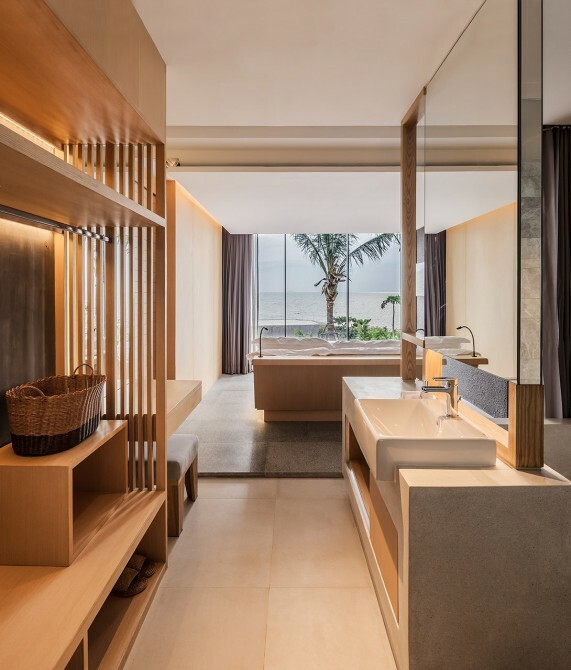 Located on the quiet Na Jomtien beach, Mason offers guests an authentic slice of Pattaya away from the mass market sun-seeking population, yet is also just a 15-minute drive to a city filled with shopping, nightlife, and otherworldly wonders. 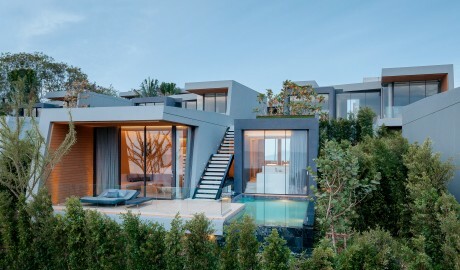 Each of the 35 uniquely designed villas, ranging from 90 to 180 square meters, boasts private pools and large sundeck terraces. 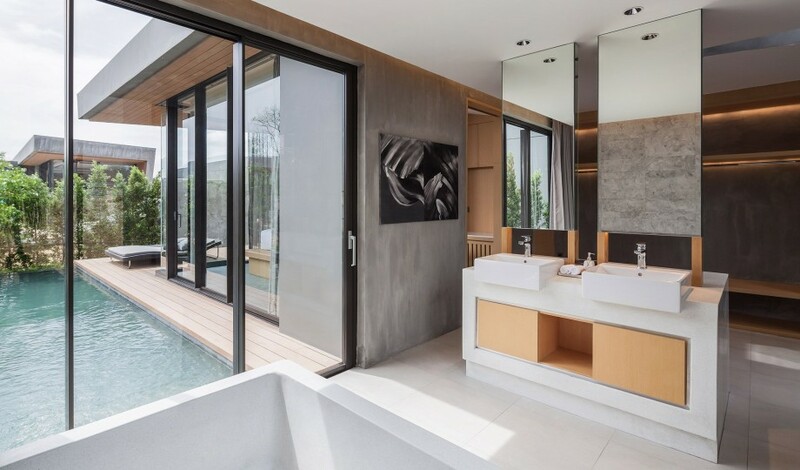 The villas also feature inviting living areas that face the stunning nature outside, dreamy spacious bathrooms with oversized bathtubs, custom bath amenities, walk-in closets, and Marshall Bluetooth speakers. 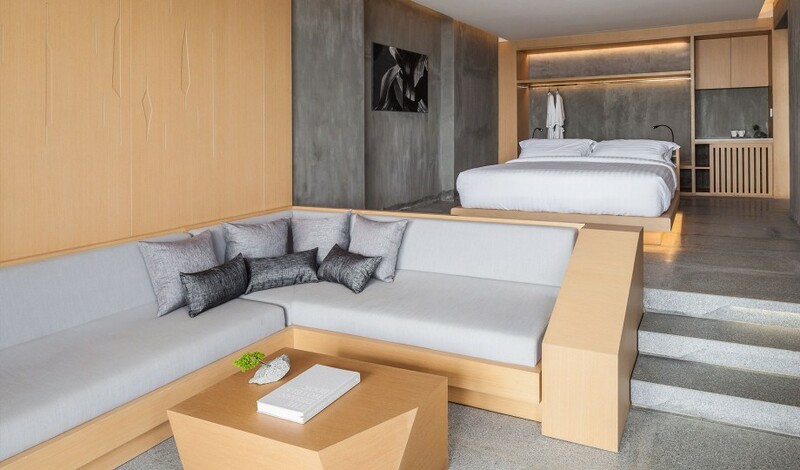 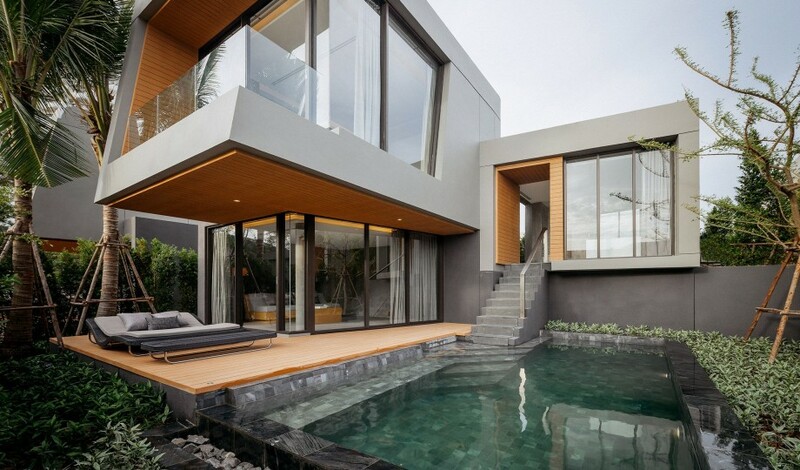 The 180-square-meter elevated Double Grand Pool Villa has two bedrooms, while the 154-square-meter Duplex Grand Pool Villa is spread over two floors, both with ocean views. 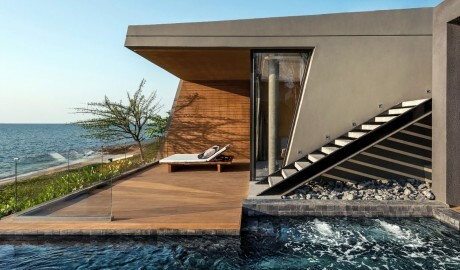 The 168-square-meter Beachfront Grand Pool Villa has frontrow of the private beach. 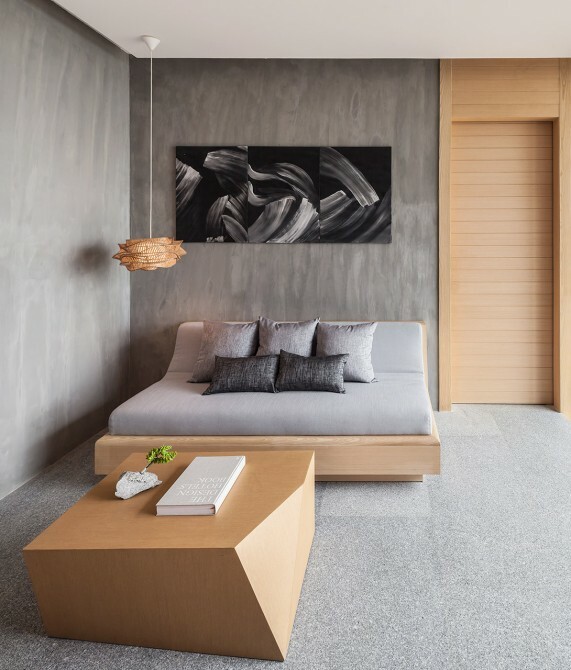 Mirroring the angular form of the architecture, the furniture is designed to be standalone, sculptural pieces set against stone and wood. 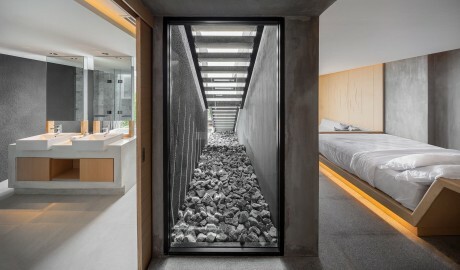 Using stone and concrete as the protagonists in their narrative, VaSLab has structured the hotel to fit within the topography of the land. 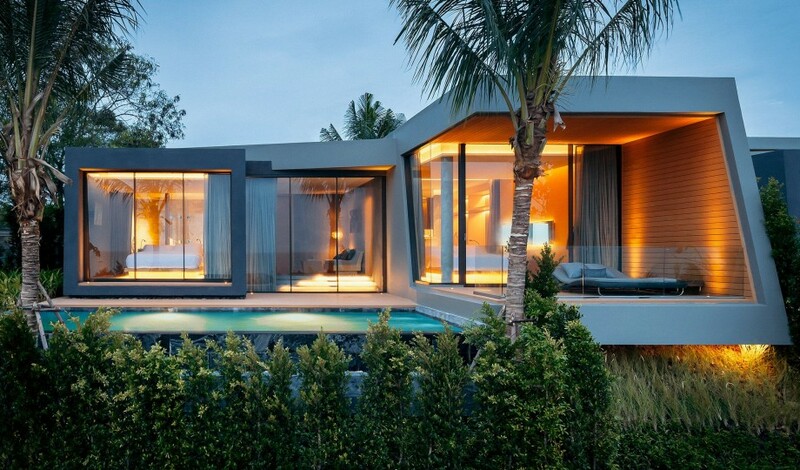 The villas are arranged to emphasize layers, with each unit maximizing views of the seafront. Only a 15-minute drive from vibrant downtown Pattaya, Na Jomtien beach is a hidden gem in the bay area where the call of adventure in the form of kite boarding and wind surfing is high.